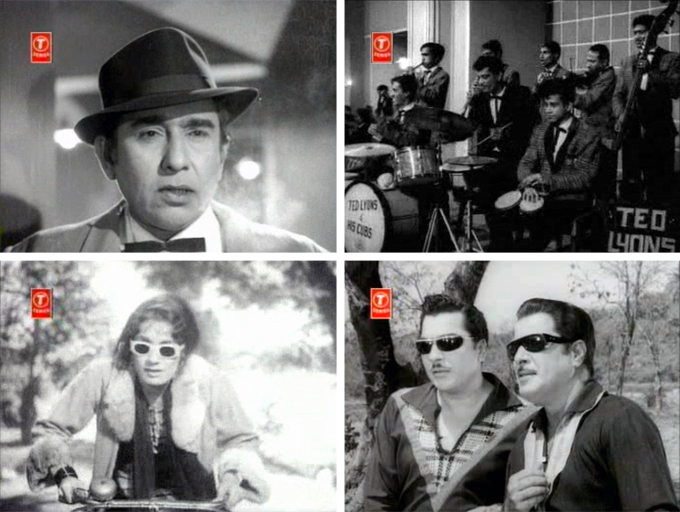 This gleefully patriotic and decidedly low-budget spy movie is the brainchild of the legendary (to some of us anyway) fedora-loving actor-director-producer Nisar Ahmad Ansari, and it is also Faryal’s debut film. 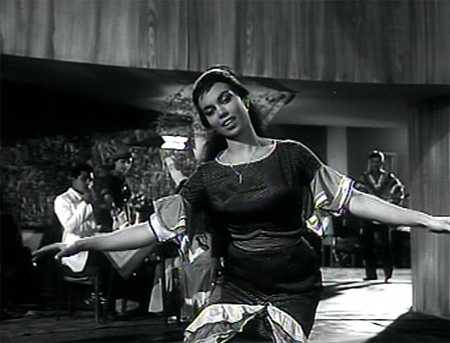 It stars other Ansari favorites Bela Bose, Nilofar, Pradeep Kumar, Johnny Walker and a host of lurking henchpeople. I watched it without the benefit of subtitles and therefore missed any subtleties there may have been, but all anyone really needs to know is that India’s “top two Security Agents” are chasing bad guys who want to get their hands on a microphillum giving away military installations, bridge locations, and “all hamara important documents.” Plus, Ted Lyons & His Cubs back up gorgeous Bela, and it contains one of my very favorite Edwina songs: and all the music is fabulous really, from Chitalkar Ramchandra. Like all Ansari movies and others of its ilk, this is like watching enthusiastic hormonally-charged teenaged boys playing cops and robbers, and I mean that only in a good way. Rife with silly and largely pointless disguises, beeping gadgets, guns, coded musical messages, and pretty dancing girls, it is oodles of loony fun. 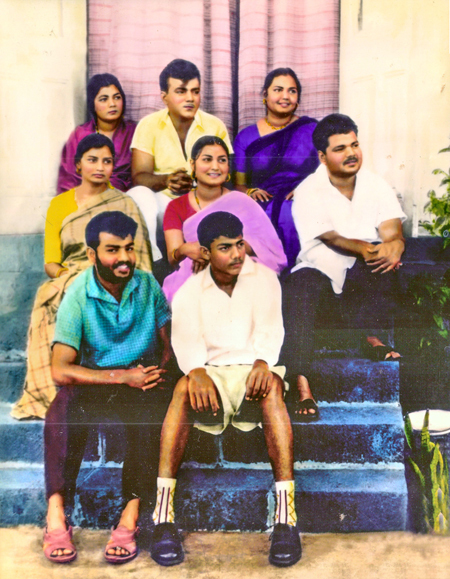 Mehmood (center back) with his siblings, including Minoo Mumtaz. This post is dedicated to dearest Edwina, whose husband of 52 years passed away this morning. She and Keith were married the year this film was released, and she has a small speaking part in addition to her song appearances. It is also the newest in the Edu Productions catalog, named in her honor. I have the Sky dvd, and this has about 15 minutes more footage than that, much better subtitles, and video that doesn’t jump around in such a manner as to make me nauseous. Details for watching it online or downloading it are on the Edu Productions page. I adore this full-on 1940s Hollywood-style soap opera romance, with it’s thwarted love, stylish villainess, crashing ocean waves mirroring internal turmoil, and bonus bakwas filmi medicine. 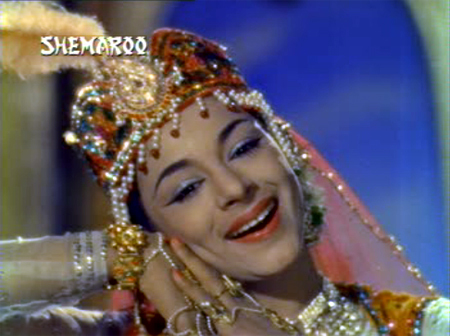 Even though Meena Kumari spends the whole movie dressed like the Flying Nun, you can practically taste the chemistry between her and Raaj Kumar (still blessed with his own hair and very handsome indeed), and Nadira makes a perfect Joan Crawford in a sari. Plus the songs are pure gems, including the one that would be my ring-tone if I had a cell phone (“Ajeeb Dastan Hai Yeh”). From an era when plots like this often devolved into ridiculous melodrama and pointless self-sacrifice this one stays relatively on point and the people in it remain relatively sane. Also woven into the main story is a simply delightful sub-plot about three patients, led by Om Prakash. Why is Faryal the heroine so much less likable than Faryal the vamp? How many wimpy roles did Shashi play in the Sixties anyway? Is it better to ignore psychological issues than to completely eff them up? Is there anything funnier than absolutely literal subtitles? Have I really seen two movies in a row where Lots of Mehmood wasn’t Too Much? *Sigh* So much goodness squandered on a story full of trite saccharine platitudes (if you are rich, be kind to the poor; they are people too!) which descends finally into that melodrama I so dread, where the females in the story are either blamed or worshipped and lose any bit of individuality and humanity they might have had. 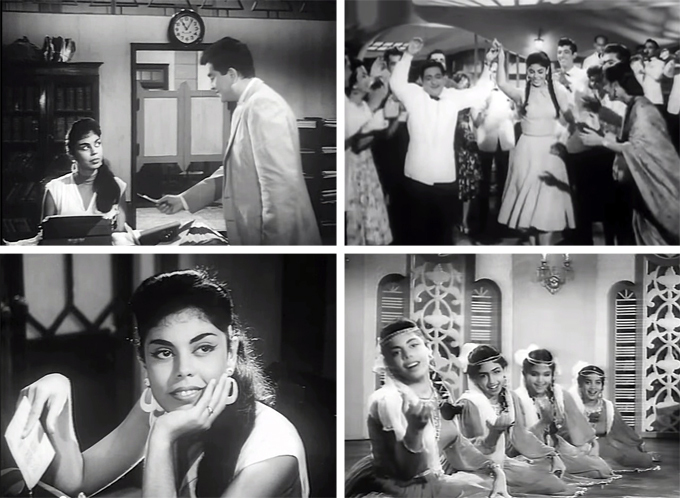 Kishore Kumar is one of those actors (Mehmood being another) who either makes me laugh out loud or completely irritates me. The script, direction and supporting characters make the difference usually, and I think that’s the case (and by “case” I mean problem) here too. Even though Shakti Samanta directed, after about the first hour I was fast-forwarding through more than I watched—not only is the frantic slapstick not funny, but the Curse of the Second Half derails what little entertainment there is. The story manages an interesting turn in the middle but then resolves itself in the stupidest manner possible. Plus the supporting cast are grating—even Madan Puri as a buffoonish bad guy just isn’t funny. In fact Edwina, who watched some of it with me and appears in two songs, asked me how on earth I can sit through such stuff. She seems quite amazed at my tolerance for total crap, but I’m sure it comes as no surprise to any of you who come here regularly. Also known as Naag Rani, this movie is a perfect example of how the so-called “B movie” genre contains gems (no Naag Mani pun intended, or not much) of movie history which really need to be treated with more respect. I would rather watch this and others of its ilk a hundred times over than watch Sahib Bibi Aur Ghulam or Mother India more than once or twice. Sure, those are great films; but they aren’t exactly uplifting entertainment! Why is such pure uplifting entertainment as this so frowned upon and discarded? 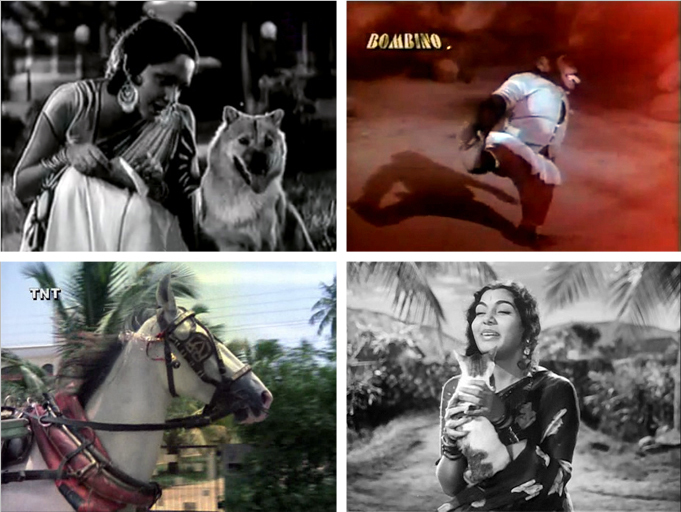 Very often the zany trappings overlay genuine emotional content and messages which are far more palatable to me than the stifling conservatism of mainstream Hindi cinema.